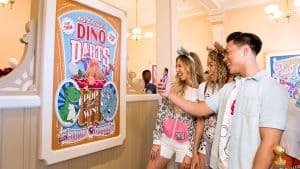 The Play Disney Parks app is the highly anticipated recent addition to a fully immersive Walt Disney Experience. The app was designed to add digital content to the physical park environment using games, songs, etc. Now, as a mom, I was kind of on the fence when I heard about the new Play Disney Parks app. On one hand, I love having fun games and activities on hand during long waits in attraction lines, and that’s one of the main things that Play promised to deliver. On the other hand, call me old-school, but I’m wary of adding any more device time to my kids’ mental landscape. We go on vacation to “unplug”, right? Therefore, the decision to download the Play Disney Parks app was not made lightly in this household. But after having used it now on two separate Walt Disney World occasions, I can honestly say that this app is worth your time as a family. Here are five things we loved about our Play Disney Parks experience. Even though the games on Play are meant to be accessed from a single device, some games allow individual players. For example, as we waited in line for Slinky Dog Dash, we decided to play Andy’s Boardgame Blast, the location enabled game designated for Slinky. Each of my four kids was a named player in the game, so once one child had a turn with a challenge (such as bowling, mazes, silly faces, etc) the game instructed him to pass it to the next player by name. No crowding around or bickering over whose turn it was to hold the phone. Everyone got a chance to play on Play, and those who weren’t playing could simply talk or enjoy their environment. While most of the games on Play Disney Parks can only be played while you’re actually in the vicinity of a certain attraction, the Trivia challenges (question mark icons) can be accessed anywhere. This worked out well for my kids on a couple of different occasions. For example, we drilled each other on Star Wars details while riding the Friendship between Epcot and Hollywood Studios and took on Main Street facts while in line for Test Track (which doesn’t currently have a game). 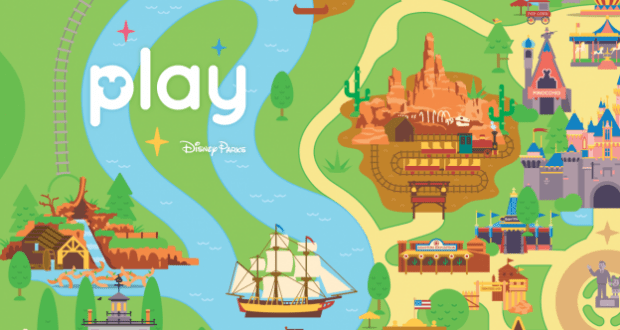 My smaller kids were especially impressed by the cartoon-like maps inside the Play app. Because they’re just learning how to read, the visual landmarks were much more recognizable and fun (because to a six year old, reading doesn’t go with vacation quite yet). The whimsical graphics are totally audience appropriate and easy to use. The musical note icons within the Play app indicate a playlist of Disney tunes is available for your listening enjoyment. Honestly, I can’t see using this feature inside the parks, since you’re there to experience those songs firsthand anyways. However, at home, my kids and I enjoy playing these songs as a way to feel like we’re sort-of still at Disney World. We crank them up on a Bluetooth speaker while we’re doing our chores. Whistle while you work, right? When you ride attractions or complete games, the Play app will give you little stamps/stickers in the achievement section of your account. And even though they’re not actual, physical things, my kids really like seeing these stickers add up within the app. We played a few rounds of Agent P in Epcot using the Play app just for fun (we’ve done it before), and they appreciated seeing Perry pop up in our collection. The Play Disney Parks app drains battery quickly. Between Play and My Disney Experience, it’s in your best interest to bring a portable charger along in your park bag. In many places (not all) you can log in to the Disney Guest wi-fi in order to use the Play app without using data. You’ll want both Location Services and Bluetooth turned on while you use Play Disney Parks for the best overall experience. You *might* want to allow kids to bring their own device for using Play. This is up to parent discretion, of course. I normally don’t like my kids having devices at Disney, but for safety reasons I could see it being beneficial in some cases (for instance, if a parent’s sole cell phone runs out of battery, it could present a problem). Use Play sparingly. As with anything else, you and your kids can tire of the content. That’s OK—there are plenty of other things to do and see at Disney, after all! Log in when you have a large chunk of downtime (when Play is really at its best anyways) and then leave it alone otherwise. My kids and I loved using Play Disney Parks to enhance our recent Walt Disney World visits. Even though I was hesitant at first, Play has proved a great way for our family to be even more involved in a place we love and make even more cherished memories. 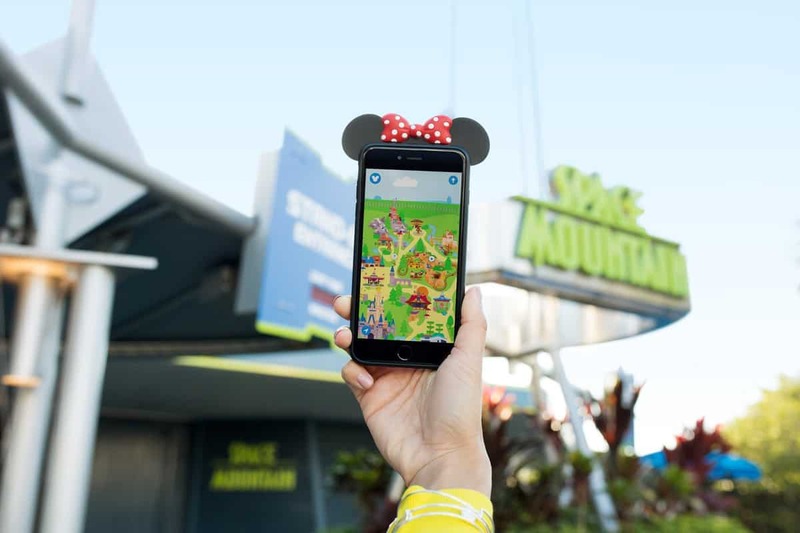 Have you used the Play Disney Parks app? What are some of your favorite games or features? Let us know in our interactive Facebook group! Melissa resides on Florida's beautiful Space Coast with her husband and four Disney-loving boys. She frequently allows skipping school for Disney World visits...because making memories is more important than math. Their family has also been seen on HGTV's hit show "My Yard Goes Disney."